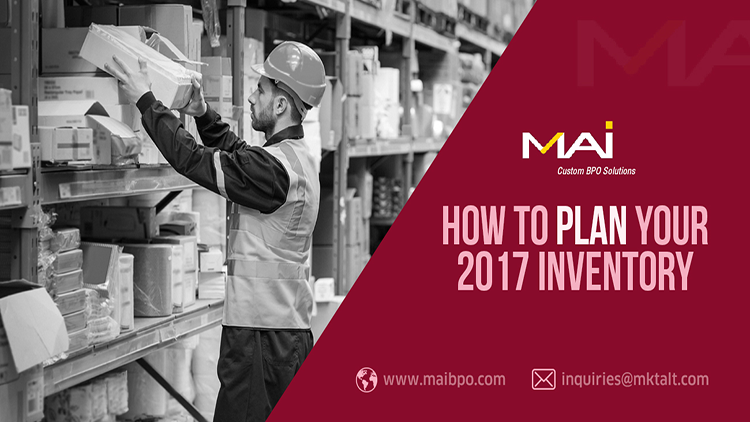 The trick behind successful inventory planning lies in managing investments efficiently, to minimize cash flows and maximize profits. Generally, all existing inventory ends up in three groups: dead inventory, slow-moving inventory and productive inventory. The classic 80-20 rule applies to inventory as well, with 80% of sales coming from 20% of the products. Evaluate POS reports, to classify items into the different groups, in terms of movement, and adjust investment accordingly. It may be worthwhile to actively promote the sale of dead and slow moving inventory, through discounts, giveaways, buy-one-get-one-free offer, and other options, to prevent the products sitting on the shelf for extended periods of time and accrue negative rates of return. Recouping at least some of the investment on the dead stock is better than foregoing the entire inventory through obsolescence. About 43% of small business owners in the U.S. still use pen-and-paper or spreadsheets to track inventory, or not track at all! Needless to say, haphazard stock levels lead to missed opportunities and customer dissatisfaction if a displayed item is out of stock. An automated asset-tracking system that tracks inventory in real time and facilitates timely replenishment is the way to go in today’s fast-paced, highly competitive business world. Such systems streamline the inventory management process and simplify documentation. It allows executives and business managers to avoid disruptive record-keeping and focus on selling. A POS system with automated inventory tracking is now within easy reach for even small businesses. This investment pays off as efficiency improves and avoids missed opportunity for want of sufficient stock. A residual benefit is increased control over the business and ability to have a bearing on the exact situation of the business at any given point of time. Most businesses would do well with perpetual systems that update inventory after each purchase, sale and adjustment. End-to-end supply chain visibility is indispensable to respond effectively to changing market requirements, especially in cases when suppliers and distribution centers are spread across the world in different time-zones. A cloud-based supply chain network is an essential component of agile inventory management, which successful companies adopt. A recent Aberdeen Group survey estimates 80% of the most profitable companies adopting supply chain networks to improve inventory visibility. 4. Gaze into the future. Inventory management is a huge reality check. The inventory levels and inventory movement makes explicit the real condition of the business and also offers a concrete basis for prediction. Using past sales to direct current inventory buying decisions is a good first step, as it gives an indication of what is likely to sell well and what won’t sell. However, past performance is no guarantee for the future and the demand forecasting analysis need to factor in a whole host of other analytics, such as social trends, customer feedback, seasonal variations, state of the overall economy, and other considerations. The effective use of analytics helps in making smarter inventory decisions. A Harvard Business Review study estimates up to 16% of stock reported lost or stolen was actually misplaced and had a negative impact on profits by as much as 25%. Take physical inventory from time to time to ensure the actual physical goods on hand match the goods showing on the inventory report. Pay special attention to the warehouse design and layout. For instance, grouping fast-moving items together toward the front of the warehouse for easier access improves efficiency. Another key consideration is the barcode, or other marking and labelling systems, which allows accurate tracking. The use of barcoding in the warehouse improves efficiency by about 80%. In 2017, the success of any business hinges on providing the right inventory, in the right quantity, to the right locations, to meet supply and demand and avoid associated carrying costs. Effective inventory planning increases sales, saves money, improves customer satisfaction, and overall has a major impact on the health of the business.